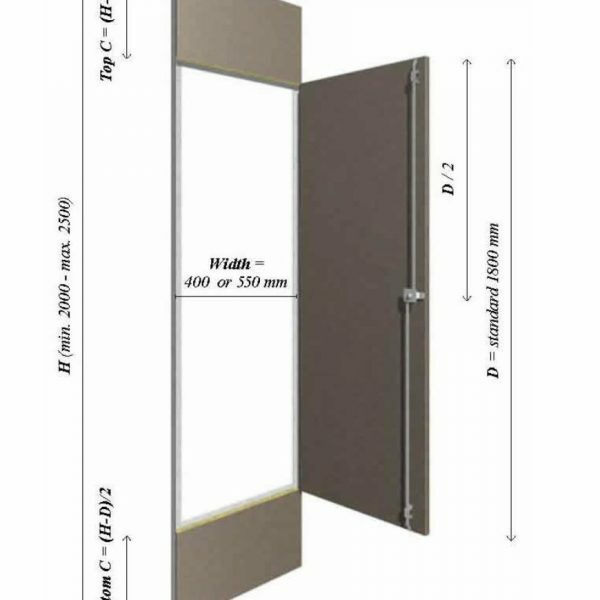 The TNF HB6 inspection door is a high quality man size door of cruise ship standard, and is designed as an integrated part of the TNF 2S Wall Panel System. The HB6 inspection door is primarily used in corridors for access to service sanitary units, but can be installed anywhere in the accommodation, where frequent access is needed. B15 fire rating – approved by most authorities. Has a full flush construction – no visible door frame. Left and right hinged – door blade is symmetrically positioned. Easy access – 1800mm door opening. Easy and fast installation with no necessary tools required. 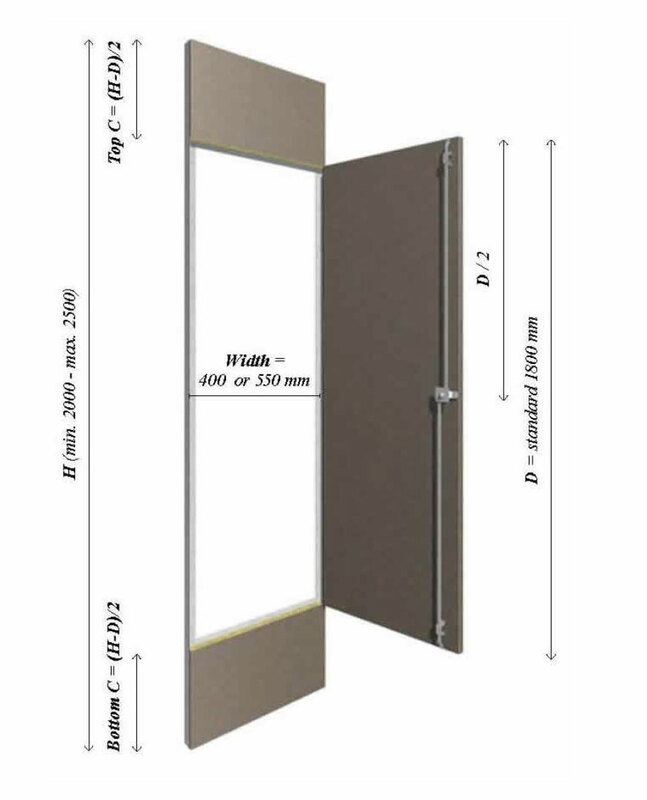 The TNF HB6 inspection door is inserted in a standard panel of 550mm or 400mm width in a lining wall. Installation of the door can take place together with the wall panels or it can be done later. The TNF HB6 Door has a 25 mm thick steel door blade and a non visible door frame with panel pieces at bottom and top. This construction makes the panel look like a regular wall panel. The doorframe is connected to the adjacent panels by profiles and installed into the top and bottom profiles. A stainless steel piano hinge between doorframe and door blade ensures a rigid construction. The TNF HB6 Door is designed for installation in walls of 25mm as well as 50mm. The TNF HB6 Door has as standard a 3-point espagnolette lock (long latch) opened by an 8mm square hole spanner. The HB6 Door has a decorative surface of PVC foil or TNF MAGIC and is supplied in the same colour range as the TNF 2S wall panels in which the access doors are installed. The TNF HB6 Doors are supplied complete with installation profiles.